Last week, Clive and I took a jaunt to Coeur d'Alene, Idaho on non-wine related business; well, mostly non-wine related if you want to be technical about it. Clive will be posting soon on our awesome experience at Coeur d'Alene Cellars, an Idaho winery that uses exclusively Washington fruit. After that visit, I had the opportunity to visit another Idaho winery that uses both Washington and Idaho fruit and as such, is the focus of this Idaho edition of our "They Make Wine There?" series: Pend d'Orielle Winery in Sandpoint, Idaho. You may have read about it...right here on this blog, in fact. Rick and I have written about Pend d'Orielle here, here, here, and here. 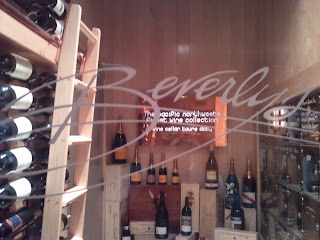 If you hadn't noticed, we're quite fond of their wine and I was excited to visit the place where the magic happens. I rolled into Sandpoint, Idaho in the early afternoon and was immediately struck by a cute, quaint, yet somewhat hip downtown area in the town of approximately 6800 residents. Despite spending 4 years in the Spokane area, the only time I had seen Sandpoint was from the backseat of a car when I was 15 on a 24 hour run to Canada while working at a Northern Idaho summer camp. That's a story for a different day. Like many small communities in the Pacific Northwest, Sandpoint is steeped in Native tradition, with Lake Pend d'Oreille serving as a summer encampment site for the Salish Tribes. In the early 1900's, railroads and timber drove the economy and in 1963, Schweitzer Mountain Resort opened nearby turning Sandpoint into a tourist mecca. Presently with the lake and the resort, Sandpoint is an interesting collision between hip, urban, outdoor tourism and old-fashioned timber culture. Sandpoint is quickly becoming an arts and culture capital of Northern Idaho, and yes, they make wine there! 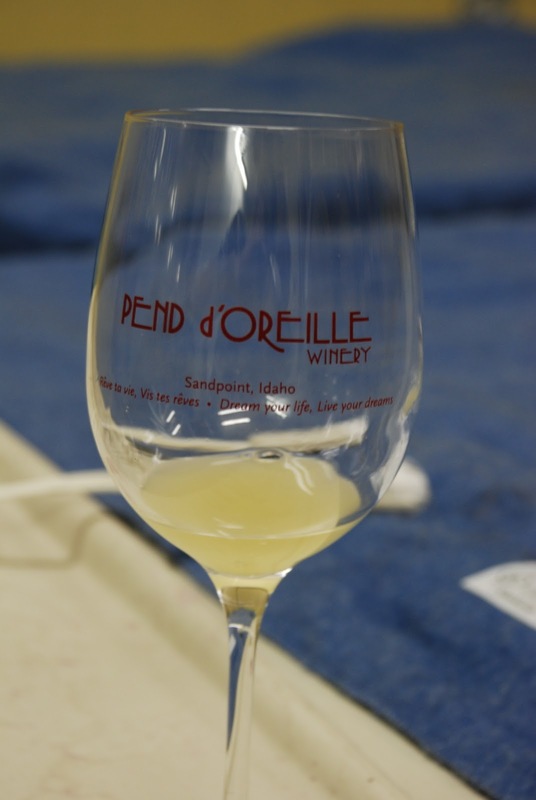 Pend d'Oreille Winery, founded in 1995 by Steve and Julie Meyer, is the only Idaho winery north of Coeur d'Alene. By the way, if you're going to visit Northern Idaho, better practice up on the use and pronunciation of apostrophes. 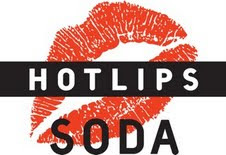 I walked into the PO tasting room at the appointed time and was immediately struck by an environment that was reminiscent of a urban environment; a hip tasting bar area surrounded by a small restaurant and lifestyle store with hints of country charm. It could have easily been Portland or California. I was met by the Pend d'Oreille's cellarmaster and jack-of-all-trades, Jim, who poured two different 2007 Malbecs from the Terrior Series, one from Washington and one from Idaho. We'll get to that in a minute. 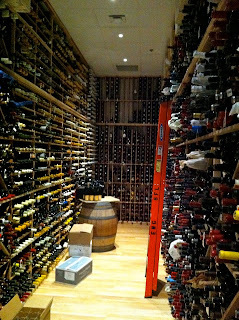 After the Malbec, Jim asked if I wanted to head back to the cellar for some barrel samples. After rearranging my extremely packed (nonexistent) schedule for the rest of the day, I was in. Jim started pulling the 2010 vintage out of the barrels and by time we had made it through some very promising Viognier and a few strains of Chardonnay, the man himself, Steve Meyer, joined us. 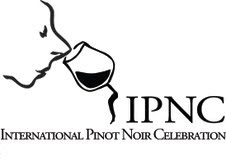 As Steve and I thieved into the 2009 vintage of PO red wine, I had the opportunity to ask him some of the questions that you are probably thinking right now - why Idaho being at the top of the list. Steve started sharing his background and I quickly got a glimpse inside the workings of a visionary winemaker and winery. Steve started making wine in Burgundy 25 years ago during an errant ski trip. After cutting his teeth in France and California, a wife from the area and proximity to some of the best fruit in the world brought Steve and Julie back to Sandpoint. With a dual-mission of creating the greatest wine in the Northwest and invigorating a wine culture in the Sandpoint area, Steve takes his role in the industry very seriously as he creates wines of smaller varietals to both educate consumers in the area and promote business during the shoulder seasons of a tourist town. Pend d'Oreille surprises many as Sandpoint isn't exactly wine country, but a quick drive to both Eastern Washington and Southern Idaho growing regions makes it the perfect locale. Always pushing boundaries, Steve has placed a heavy emphasis on sustainability in operations with a "Think Green, Drink Red" motto. 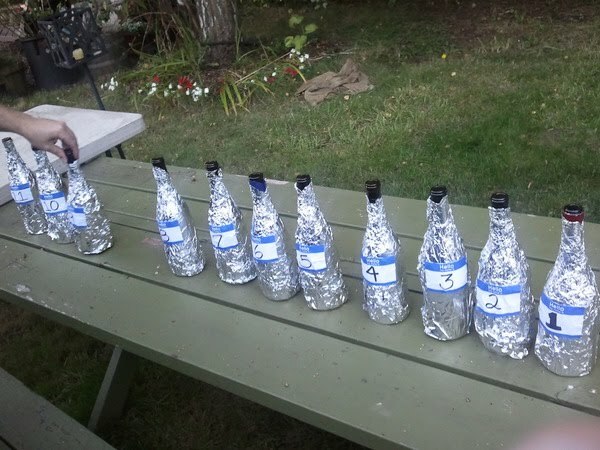 To that end, the winery has implemented a refillable bottle program out of their tasting room. Think of a growler in the beer world. For an initial $25 bottle purchase, customers can have a refill of either Bistro Rouge or Bistro Blanc for just $16 at any time. In the first year of the program, Pend d'Oreille kept over 10,000 pounds of glass out of the landfill and averages 350 fills per month. How cool is that? 2007 Malbec, Freepons Vineyard, Yakima Valley, Washington: With a lot of dark fruit on the nose, this wine has a mellow tannin structure and a smooth mouthfeel. A relatively classic Malbec, it would pair well with some bolder food such as chili. Very nice. Case production of 74 with a very reasonable price point of $28.00. 2007 Malbec, Wood River Vineyard, Snake River Valley, Idaho: Tasted second, I found the Idaho Malbec to be a bit more tannic with some rose petal on the nose. Hints of plum and vanilla on the palate meld into a very delicious wine and a quite pleasant surprise coming out of Idaho. This is a gorgeous representation of the Snake River Valley. With a case production of 73 and the $28.00 price tag, it won't stick around long. My preference leaned slightly towards the Idaho Malbec for this vintage. The 2010 and 2009 vintages are showing a lot of promise, keep your eyes open for the Primitivo and Zinfandel to hit the streets. 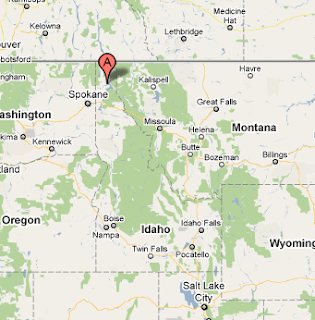 So...Idaho, huh? An often-forgotten area of the Pacific Northwest, wine grapes were introduced to Idaho in the late 1800's and were grown until Prohibition. For those familiar with the area, the old Potlatch Lumber mill site near Lewiston was a vineyard in forgotten days. In the 70's, Idaho saw a resurgence of vineyard development and the area is now home to 38 wineries. Many believe that the Southern Idaho area is ideal for growth, with high heat summers and cold winters. With over 1500 acres of grapes, and AVA designation for the Snake River Valley, Idaho is staking it's claim in the marketplace with primary production of Chardonnay, Riesling, and Cabernet Sauvignon. After 2.5 hours in the tasting room and cellar with one of the most visionary winemakers in the region, it was time for me to leave and experience the rest of Sandpoint. When you visit, other highlights of the area include Eichardt's Pub for a great beer selection and elk burger and the Coldwater Creek Wine Bar for a nice by-the-glass selection. Yes, it's the same Coldwater Creek that sells women's clothing. The Best Western Edgewater Resort offered comfortable, reasonably priced accommodations with a fantastic hot tub. If you're looking for a scenic and fun place to visit with some awesome wine, put Sandpoint on your list. If you want to avoid the tourist mobs, November is a great time to do it. Be careful, though, as you may wake up to snow on the ground as I did the next morning. As previously noted on the Blog, I've been doing a bit of traveling lately - both wine related and not. A few weeks ago I was at a student leadership conference in Ashland, Oregon for my day job as a higher education "professional". While happy to be in the heart of the Rogue Vally, my oenophilia was tempered by a relatively tight schedule and an alcoholic-free conference. Yep, no glass of wine at the end of the day for me. In true blogger style, I promptly emailed Christine from The Southern Oregon Wine Blog and asked, "If there is one winery I have time to visit on my way home, where should I go?" Christine responded, "Don't be stupid, I've been telling you to hit up Folin Cellars for months." Folin Cellars it was. Folin Cellars is a family owned and operated winery producing estate-only rhone style wines from the estate winery in Gold Hills. Don't worry Portlandites, they also have a tasting room in Carlton if you're too lazy to roll down I-5. Folin is currently a small production winery, putting out around 500 cases per year and emphasizing a self-sustaining operation on their 25-acres of vines and new tasting room and winery facility. The estate just happens to be at the same latitude as the Rioja region of Spain, predispositioning Folin's signature tempranillo to a status of awesomeness right off the bat. It was approximately Noon on a Sunday when I rolled through Medford on my way back to Corvallis, knowing that Folin was open weekends from Noon - 5:00 PM weekends through November, I rolled off of the freeway and headed east for the 10-ish mile jaunt to the winery. After some twisting and turning in the beautiful Oregon foliage, I pulled up to the gate of Folin Cellars and could see the 15-month old tasting room down the road. The gate was closed. Were they open? Please? After some jockeying of my cell phone to find good enough service to call the tasting room, Steve from Folin promptly came and opened the gate and returned to the tasting room to give me a warm greeting as I walked through the doors. Whew, there was wine in my future. 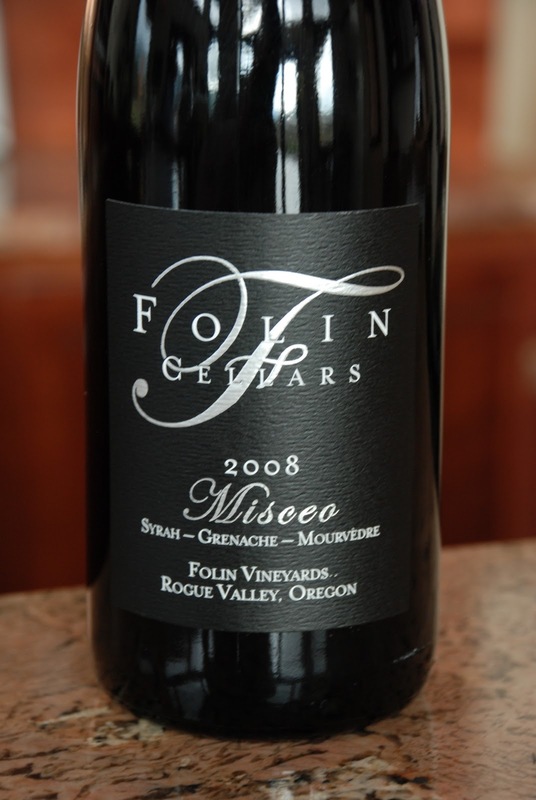 2008 Miseo: Miseo, a latin word meaning blend, is Folin's signature red blend consisting of 50% Syrah, 30% Grenache, and 20% Mourvedre. I immediately got a bright and deep nose off the wine with some delicious dark fruit and a tad of earthiness on the palate. I took a second sip, and damn, it was good. Real good. The finish was even better and I wanted to pour a full glass and go to town, but that will have to wait until another day. With an inaugural vintage production of 150 cases, this was my favorite wine of the day and you better pick some up while you can. 2007 Tempranillo:A pleasant black cherry nose complements a comfortable mouthfeel, nice acidity, and notes of plum and chocolate on the palate of this very classic tempranillo. 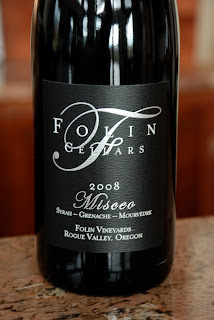 Aged 100% in french oak, this wine is what put Folin on the map and shows that Oregon can do more rhone than just syrah. Do I sound like a wine snob yet? This is solid at $30/bottle and a case production of 150 or so. As I finished my tasting experience, Steve took me down to the production facility to show me around a bit and I was pleased to see that Folin has the production capacity to grow in coming years. As I walked back to my car, I looked out upon the gorgeous territorial view and took a moment to reflect about the experience I just had. 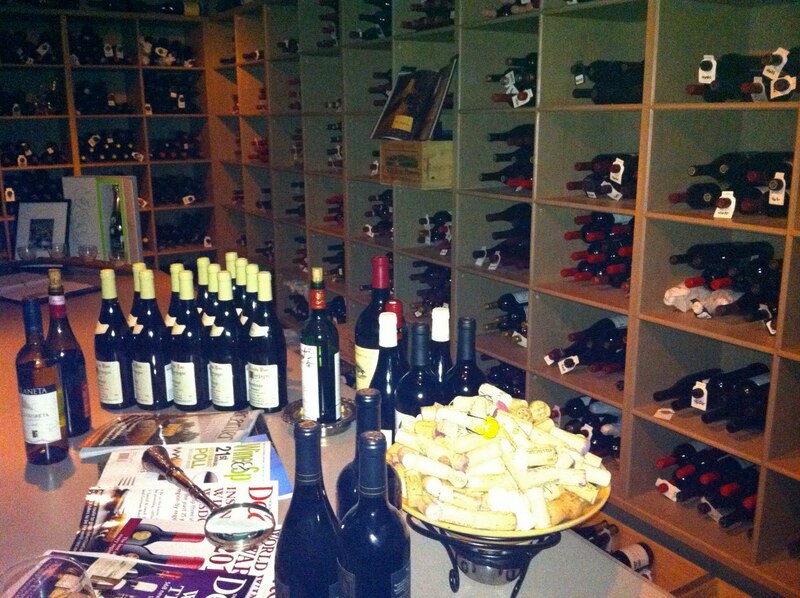 7 great wines, an awesome facility, and friendly staff. That's what the Oregon wine industry is all about and it's beautifully demonstrated by Folin. Salud! 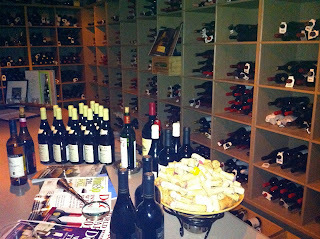 Maryhill Winery makes a lot of wine: their 80,000 cases rank them as the 15th largest winery in the state of Washington. But there is a lot going on at this scenic spot on the Gorge that would lead one to believe that Maryhill is a bit atypical of the big boys of the Washington Wine industry. The arrival at Maryhill is about as breathtaking an arrival as one can make. The beautifully placed facilities have a view of the Gorge, the Columbia River, and Mt. Hood that is certainly an enviable one. Perched atop a terraced cliffside among the Gunkel vineyards, this beautiful estate (but not estate winery) defies many of the expectations that its huge case production might create. Why isn’t Maryhill an estate winery? They’re plopped right in the center of the well-regarded Gunkel Vineyards, and the fruit, it belongs to the Gunkels. In fact, the agreement that Maryhill has with the Gunkel family is a lease, a 300 year lease. While Maryhill sources a lot of fruit right there on site, they're also getting fruit from across the state. Maryhill is certainly making a lot of wine from Gunkel fruit, but because Maryhill doesn’t own the fruit, they are not considered an estate winery under the strictest definition of the term. With distribution in 26 states and 20% of their sales coming from their on site destination tasting room, Maryhill Winery is well positioned, both physically and in terms of the current economy. Maryhill Winery has found themselves in a sweet spot with their wines’ friendly price points - all come in between $10-15 for the non reserve, and the reserve wines barely flirt with $25. 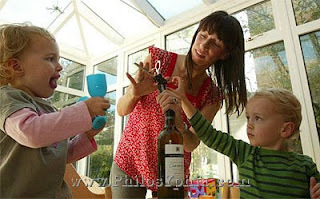 On this point Vicki was very clear "We believe wine should be an everyday beverage. If you want people to drink your wine every day, and we do, it should be affordable." There are a couple things to point out here, of course there's the price of the wines. The wines at Maryhill, particularly the reserve offerings, provide consistent value for the price point. So not only do you have a destination winery with wines that are very approachable where your wallet is concerned, you are also getting consistently well made wines. That makes Maryhill unique among destination wineries, which is unfortunate. Typically wineries with such a prime locale hope the grandeur of the site will blind you to the fact that the wine in your glass is sub par and overpriced. When it comes to production, Maryhill's large size is more apparent in their practices. Only the Chardonnay is barrel fermented, and all the wines are fermented in stainless steel, with oak staves added when there's a desire to impart the wine with any oak. There is a bit of a departure in how long they hold onto the wines: most of the reds spend two years in barrel and one year in bottle, ideally. Demand may cut this timeline short, but that is an enviable position. Owners Craig and Vicki Leuthold give off more of a smaller winery vibe. Their upstairs apartment, for one, has them on site and pretty hands on when it comes to the wine, the production and interfacing with their club members and guests of the winery. Last year 75,000 people paid Maryhill a visit, either coming for the wine or the concert series which pulls in national acts that are household names. Maryhill is making enough varietals that you're certain to find something that suits your tastes. 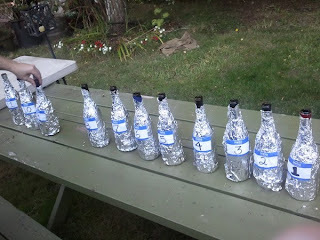 I believe I tasted nearly everything they make and my favorites were the Reserve Zinfandel and Sangiovese. I think these are two varietals that do well in the Gorge but also stand out among the wines that Maryhill makes. From their non-reserve wines I favored the very unique Riesling which has some serious acidity but would do splendidly with food and their tried and true, Winemaker's Blend, of which they make 30,000 cases. I would have to imagine that when it comes to grandeur it's tough to match or beat Maryhill Winery as a wine destination. The ability to drink a well-made wine at a more than reasonable price while viewing some of the best scenery that that Northwest has to offer makes it easy for me to recommend paying Craig and Vicki a visit. One of the perks of writing for the world famous Oregon Wine Blog is that sometimes people invite you to things. I recently attended a media trip organized by the good people at Maryhill Winery and Duo Public Relations. A few members of the print, radio and internet media were invited down for two days of exploration of both Maryhill and the greater Columbia Gorge AVA, unaware that they would unleash magic upon us. I've been to Ithaca, NY, before and it's nice. “It’s gorges,” right? - that's the joke. Compared to the Columbia River Gorge, though, it's not so special. Unfortunately, the Columbia River Gorge is gorge, and not gorges, so that whole funny t-shirt thing doesn't really work. The Columbia Gorge AVA is one of the Northwest's newest, designated in 2004. It's a shared AVA to boot; straddling both Washington and Oregon. I personally think sharing is good, though some folks might call that socialism. The Gorge AVA is unique on a number of levels, not the least of which is it's scenic beauty, which is unparalleled. Don't get me wrong, there are plenty of pretty places in the Yakima and Willamette Valleys, but the sheer breathtaking beauty of the Gorge is hard to equal. The visual drama that plays out between the mighty Columbia River and the sheer cliffs and rolling hills that flank it make it a visual delight. Add to that the gorgeous Mt Hood and Mt. 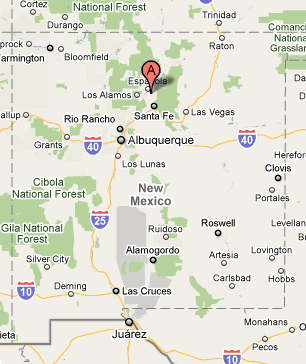 Adams and you've got one of earth's most splendid places, and not surprisingly America's first Natural Scenic Area. What most people don't know, but what I certainly figured out on this trip, is that the Columbia Gorge AVA must be a magical land. “Magic is fake,” you scoff? I beg to differ. See, I've seen movies about magic, like the one with all the hobbits, the really long one, and the one about that kid, Hank Porterhouse, or whatever his name was. All of these movies take place in a beautiful, ominous looking place. The Gorge has that. Magical places have strange creatures; the gorge has zebras, which aren't necessarily strange on their own, but in Washington? That's weird. Volcanoes, great ominous mountains like the ones in the movies with all the hobbits, are also found in the gorge. The most magical thing though, the real magic I discovered on the trip, was what’s going on with the wine down there. In the gorge, when it comes to wine, down is up and back is forth. What do I mean, you ask? The most amazing Pinot Noir in the gorge is coming from, wait for it... Washington. The Celilo and Underwood Mountain vineyards on the north side of the Columbia River are home to some of the highest elevation vineyards in the state. James Mantone at Syncline takes grapes from these vineyards and makes a Pinot Noir that is old world in style, like much of the wine being made at Syncline. It's elegant, beautiful, and allows the fruit to really show itself. It's the kind of Pinot that I love, but that's where the magic comes in, you see, ‘cause it’s from Washington. Also on the Washington side of the Gorge is Maryhill Winery, a winery making 80,000 cases of wine a year; huge by Washington standards. Maryhill is most definitely the crown jewel of the Gorge when it comes to size and views. Craig and Vicki Leuthold are running this giant destination winery like a small family operation. Craig and Vicki's hands on approach and the family atmosphere they have created belies a winery making a great deal of quality wine, the pricing of which makes it a QPR bargain. Plus? They have concerts. Craig and Vicki live upstairs and their dog Potter walks around greeting guests and barking at the wind. I don't know about you but I've been to a winery that makes tens of thousands of cases a wine of year; they have a concert thing going on there too. You know how often I've met the owners, or heard that they were living in an apartment upstairs? About as many times as I've met their family pet roaming the grounds, which is to say, never. Unless you count those peacocks. A visit to the Gorge can certainly be a magical experience. The views are once in a lifetime, the wines defy expectation and the people - from the Leutholds, or the Wright family who operate The Pines - certainly make you feel at home. The opportunity to chat with James at Syncline is worth the trip alone. But beyond that, there are a couple towns in the gorge worth a visit, including The Dalles, where we stayed. The Dalles is located quite close to Maryhill and has a few nice lodging and dining options. We stayed at The Dalles Inn, and ate at one of the most unassuming restaurants I've ever been in, The HiWay House. From the outside, The HiWay House doesn’t look like much. But inside? Damn, the food was amazing, and it boasted white tablecloths and the whole nine yards. I had a macadamia nut encrusted halibut that I was still talking about three days later. While I'm not a beef guy, the word on the street was that the prime rib was dangerously good. Walking into a place that looks sketchy from the outside and ending up with a meal that's sheer delight? Magic. Again. I'll be chronicling my visit in separate posts on Maryhill Winery, The Pines and Syncline, but I urge you to check out the Gorge for yourself. As a year round destination it has something to offer outdoors enthusiasts from rafting to mountaineering, wine tasting, or just enjoying the hip shops and galleries of Hood River. Even if you're the laziest of people the views alone will make your trip worth while. Get down there.